Sky Deutschland is fast growing, and German consumers are known to appreciate high quality. Indeed, his comments suggest that other parts of the News Corp pay-TV broadcasting arms are also looking at U-HD for an early introduction. Sullivan’s technology background is second-to-none. 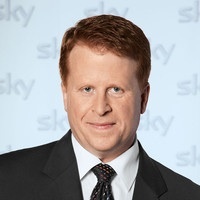 His experience included many years working at BSkyB on technology aspects of the business, notably the introduction of the Sky+ set-top box, HDTV and then 3D TV. Those flat-screens are now appearing. IFA in Berlin showcased plenty of 4K models (and some capable of 8K resolution). They’re not cheap, but the next few years will see prices tumble. All will depend on the emerging High Efficiency Video Codec (HEVC) which is now being standardised. Set-top box specialists Pace is also busy on the reception end of the equation. Mike Pulli is Pace’s CEO. “HEVC is undoubtedly the base line for the next major steps in Digital TV both in 2D and3D and especially 4K Ultra-HD where we expect a booming market around 2017.” Pully added that Pace saw HEVC/H.265 delivering a 50 per cent saving on bandwidth while at the same time maintaining image quality.